Did you know there’s a new television network with scifi programming? Well, there is — it’s COMET TV and it’s FREE! Some highlights for May 2017 are episodes of Mystery Science Theater 3000, as well as Troll, Troll 2, Labyrinth, and a special Ray Harryhausen movie marathon. In honor of this month’s programming, we’re giving a prize pack, courtesy of COMET TV! 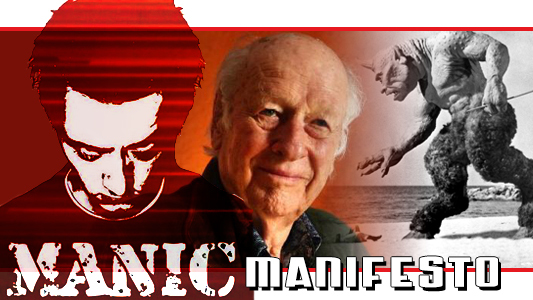 A Tribute to the work of Ray Harryhausen, his Special Effect on me, public imagination, and the film industry. 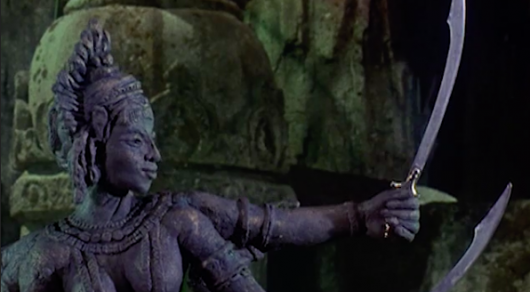 Plus a review of the 2013 UK release of Ray Harryhausen: Special Effects Titan. The Minifig in question was a Cyclops. 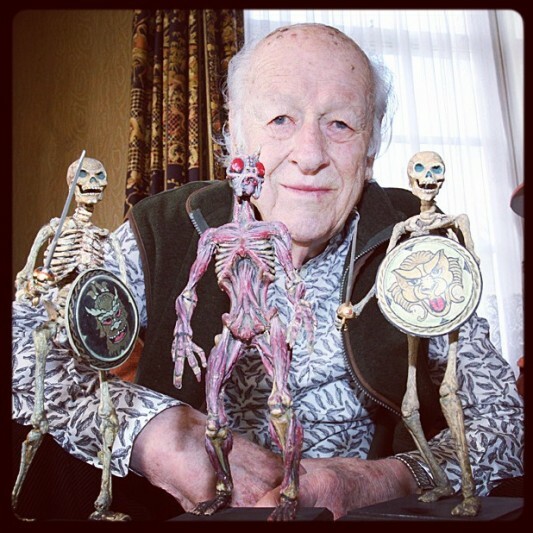 Ray Harryhausen, a master of the arts of stop-motion and visual effects in film, has passed away at the age of 92. Born in 1920, it was when Harryhausen’s parents took him to see the original King Kong in 1933 that he was inspired to become the man that would go on to inspire some of the best this world has ever seen. After the movie he went home and started experimenting with puppets and marionettes to begin honing his skills. It’s been four years now since Peter Jackson’s 2005 King Kong remake hit theaters. Now comes word that a brand new Kong movie is officially in development through Spirit Pictures. The movie will be based on the book Kong: King of Skull Island which was written by Joe DeVito and Brad Strickland and published in 2005 when Jackson was making his movie. There’s one thing about this project that is raising some confusion. The initial report by Variety states that the movie is a prequel, telling the story of Skull Island and how Kong came to be king of the island, as well as a deeper look at some of the other creatures we’ve seen residing there. 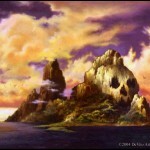 From the book’s outline, it sounds more like a sequel story (taking place in 1957, twenty-five years after the first story) that includes Jack Driscoll, Carl Denham, and Denham’s son, Vincent; with an included backstory that explains the island, Kong, and things like how they built the giant wall and why they built the door big enough for Kong to fit through it. Click over to the other side to read a more-detailed piece of the story outline that explains what the book is about. Ray Park will be playing a sword-master sidekick in a new project called The Necronauts, from writer and directed by Kevin Van Hook, who’s doing the movie in conjunction with legendary special-effects master Ray Harryhausen. Park, who’s best known for his role as the sith Darth Maul in Star Wars: Episode I: The Phantom Menace, as well as Toad in X-Men, will be seen next as Snake Eyes in the live-action G.I. JOE movie; Van Hook did visual work on Daredevil and I, Robot. 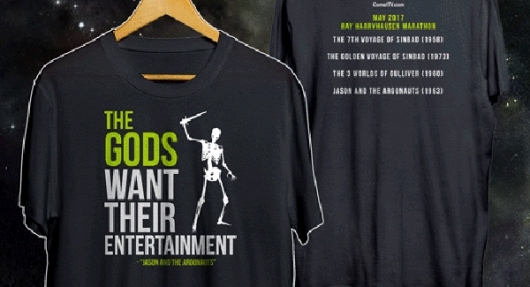 The story for The Necronauts will supposedly be a take on the 1963 Jason and the Argonauts, which featured Harryhausen’s pioneering stop-motion work, but more on steroids where the hero and his group venture into Hades to collect a group of the dead and bring the fight to the God of War, Ares. Not long ago, I craved more Greek Mythology movies… now, I just can’t keep up with them anymore. The last I checked, a movie called War of Gods was coming, a separate new Jason and the Argonauts is still coming I believe, and also, Brett Ratner was planning to piss all over the video game God of War‘s movie adaptation. So there’s no shortage in Greek Mythology movies being planned; whether they actually become a reality or not is yet to be seen. At least Harryhausen will be a part of this new one.